With the holidays fast approaching, it is an exciting time of presents, celebrations, and giving to one another. Imagine for a moment you’re a family who struggles to get through the holidays, where you worry about putting dinner on the table or giving your children presents. We want to help those families make the holidays a bit easier. 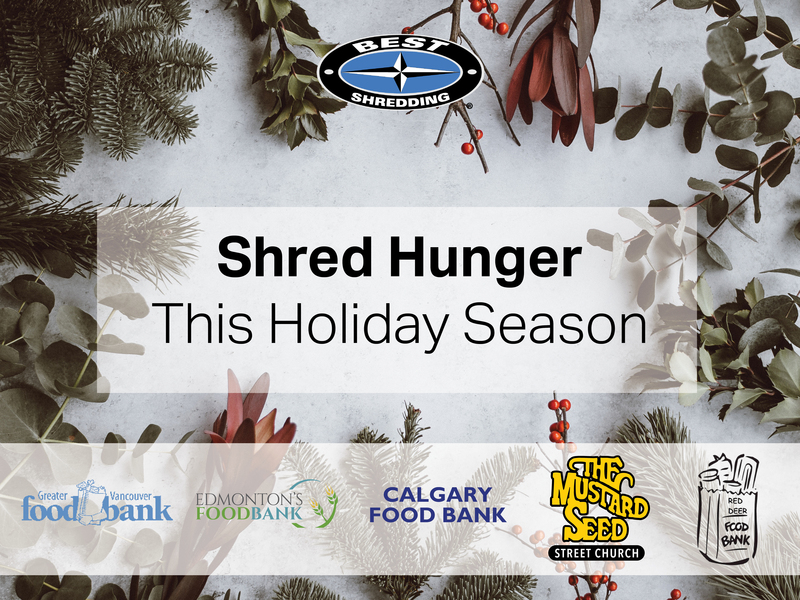 This holiday season, we are hosting our 2nd Annual Shredding Hunger Food Bank campaign. When you paper shred with BEST Shredding, we will donate one cent per pound of paper shredded. Last year, we shredded 474,695 pounds of paper throughout BC and Alberta. All proceeds were donated to the food banks in the communities we service. This holiday season, help BEST Shredding give where we live.